Randal purchased his first Macintosh computer in 1996 after seeing a simple 3D wireframe software running on one at a trade show. He realized how much time could be saved by building his 3D perspectives on a computer, rather than by the painstaking and time-consuming hand method. In subsequent years, he developed an expert skill in using this software and often did 3D perspective wireframe diagrams. 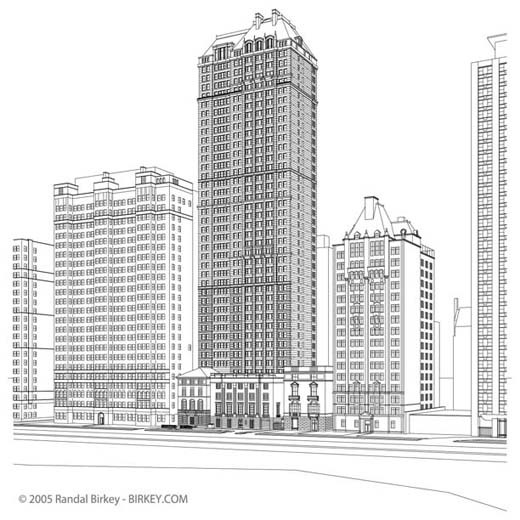 Randal would work from scale architectural plans and input the dimensions of the proposed building or space. 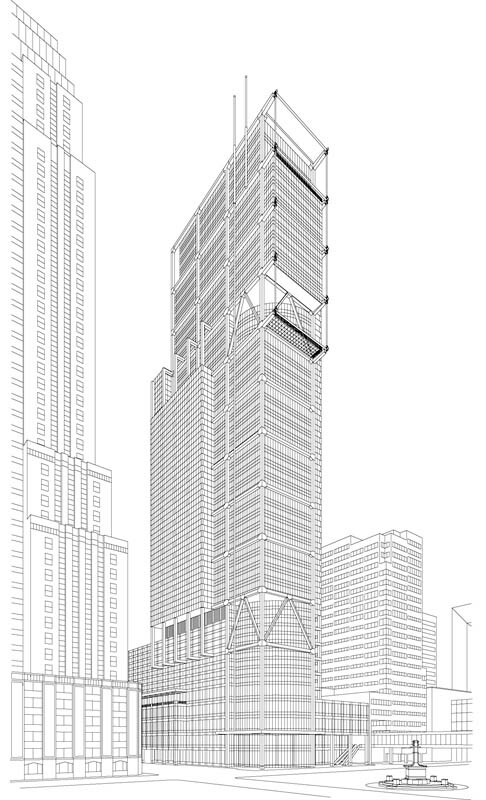 Often, the building would be shown in context to other nearby buildings, which would also be built using scale drawings, maps, and photos. 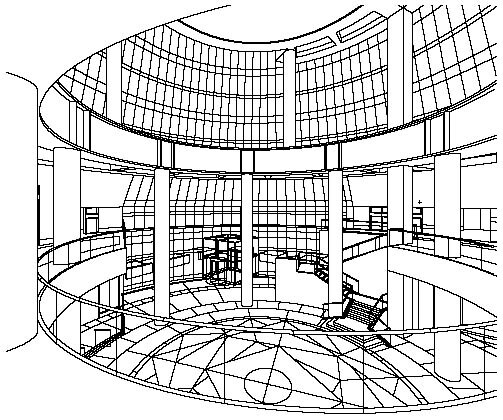 This final 3D perspective wireframe would be printed and then used as the foundation for a hand drawn and painted custom piece of art, usually provided to the architect, builder or developer client.